(Lihue, Kauai) Hawaii’s forest birds are one of the best examples anywhere in the world, of what’s known as adaptive radiation. This means a few founding individual species evolved into a multitude of species. They’re also a key reason Hawaii holds the unenviable nickname of “extinction capitol of the world”, as many species have disappeared since the arrival of people to the islands. Most of the remaining are highly endangered and the subject of intense conservation efforts. Habitat loss and degradation, non-native predators, landscape-altering invasive weeds, and avian disease spread by mosquitoes have all contributed to the current predicament faced by these species. “The creation of captive populations serves as insurance for the possible extinction of the species, while simultaneously providing young that can eventually be reintroduced back into the wild,” Crampton added. 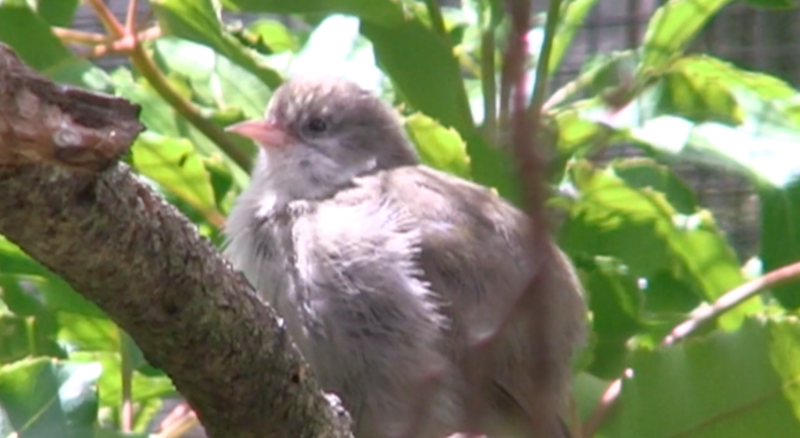 A similar program for the Puaiohi, another critically endangered species found only on Kauai, was successful and culminated in the release of hundreds of captive-reared birds to supplement the wild population. Earlier this year, most of the remaining Puaiohi individuals in captivity were released back into the forest, signaling the end of the program. This fall, the rarest species of Hawaiian forest bird, the Alala, will be reintroduced back to the forests of Hawaii Island. The last wild one disappeared in 2002. The remaining 130 birds are found only in two captive facilities on Maui and Hawaii Island. Significant partners in these efforts include the U.S. Fish and Wildlife Service, which has contributed significant funding and expertise to these projects, and San Diego Zoo Global, which manages the captive breeding of these critically-endangered species, and plays a large role in the reintroduction and monitoring of the birds back to the wild. The Kauai Forest Bird Recovery Project, a project of the Pacific Cooperative Studies Unit of the University of Hawaii and DLNR, oversees the research and management of the species on Kauai. They lead nest-searching and collection efforts, while also controlling other threats to the species in the wild, primarily rats.